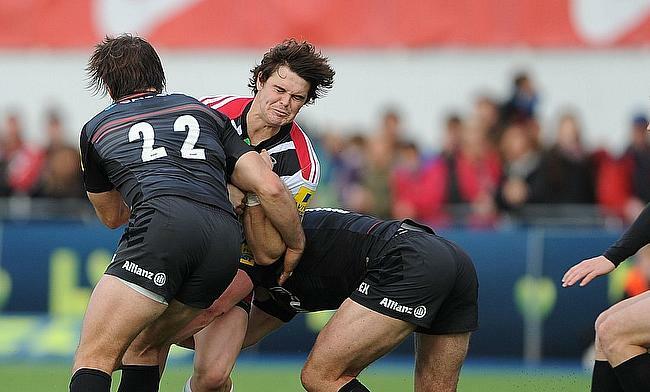 Newcastle Falcons have confirmed the signing of Tim Swiel from Premiership rivals Harlequins with immediate effect. The 25-year-old, who has the flexibility to play at fly-half as well as full-back made his professional rugby debut with Western Province and played Super Rugby with Sharks in 2014. Swiel joining Harlequins in 2015 after previously being part of them on loan and has made 48 appearances for the Twickenham Stoop outfit including 30 in the Premiership in which he amassed 144 points. Newcastle Falcons rugby director Dean Richards believes Swiel's ability to play across different positions will provide flexibility to the squad. "Tim is a player I've admired for some time," said Richards. "He plays the game at pace, he is someone who makes things happen in attack and he will fit perfectly into the way we play. "The fact that he can play multiple positions is another major plus point, and we look forward to seeing him being integrated into our squad." Newcastle Falcons are currently positioned 11th in the Gallagher Premiership table with a solitary win from five games and will take on Saracens next at Twickenham Stoop on Saturday.